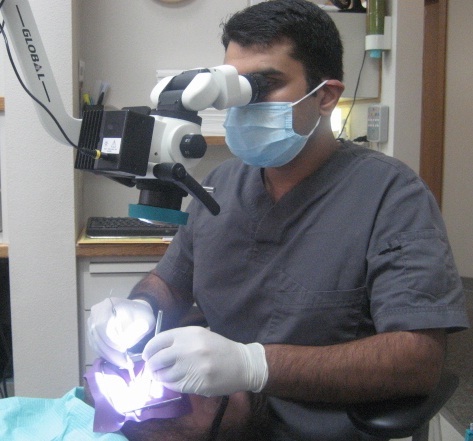 We are proud to be one of the only general dental offices in this area to have microscopes. Regardless, of how technologically advance a dental office proper treatment can not be rendered to patients without proper visualization and illumination. The microscope and magnification is an asset to better patient treatment. Think about it each tooth is small and how is a dentist supposed to find every crack and cavity? In our office we use magnification during all procedures. When we can see a tooth up to 20x its normal size we can be sure that we can see everything. When we see everything, you know we can treat you with the best standard of care possible.